You can’t buy such a digital audio disc (DAD) now at any price. 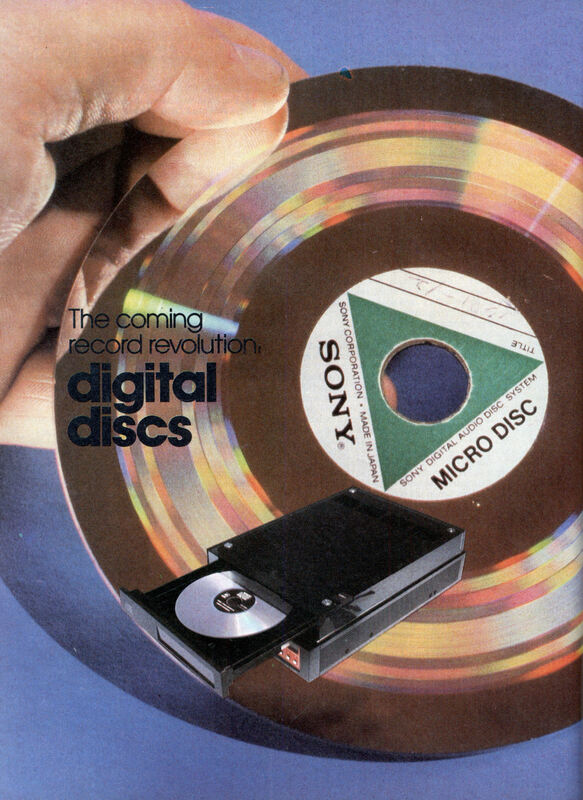 But players and digital discs will be on the market in 1982-’83â€”sooner than anticipated. 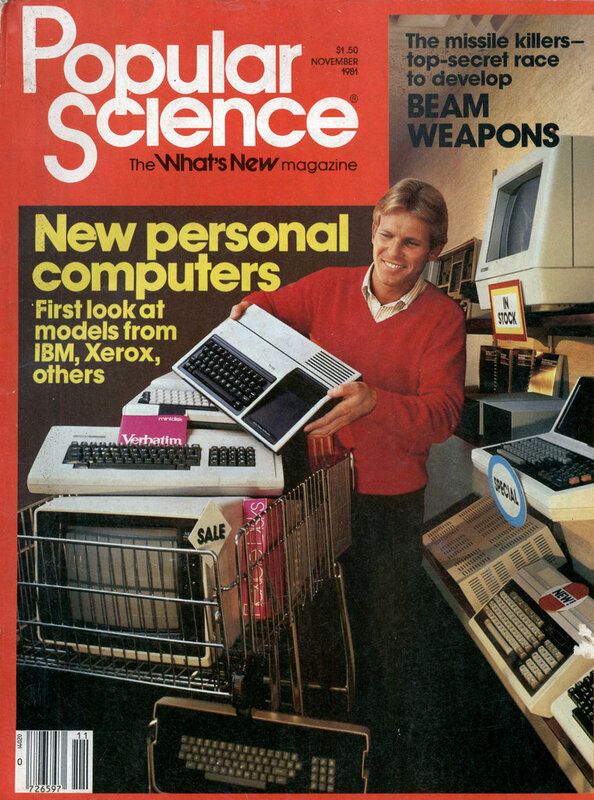 The new DAD technology merges hardware similar to that used for videodiscs IPS, July ‘801 with specially developed digital integrated circuits. Disc players, which can be plugged into any conventional hi-fi system, could cost from $500 to $1,000. Discs, initially, will cost about $15. They have unique advantages-detailed shortlyâ€”compared with conventional LP records. But recently a council of 51 companies in the field ended its deliberations without establishing a definite DAD standard. Instead, the council leaned heavily toward the Compact Digital Disc system I had seen in Tokyo. This system was originally developed by Philips of Holland. Since its first showings [PS, Oct. ’79], Sony and Philips have been working together to improve the system and convince othersâ€”quite successfullyâ€”that it should become a world standard. Last spring, at a joint news conference held in New York, Sony and Philips announced plans for marketing their disc system. Europe and Japan will see the players in late 1982 if plans hold, while the U.S. introduction may be early in 1983. Both giant electronics firms know that disc availability will be critical for the new system to succeed. They’ve made arrangements with the Polygram Group, a major worldwide record company, and CBS/Sony Inc., the largest record firm in Japan, to produce albums in the new compact format. The second digital audio-disc system we’re likely to see next year is AHD (audio high density), developed by JVC with its videodisc. This format carries audio information as multiple rows of pits arranged in spiral tracks on discs. The disc rotates at a constant 900 rpm. A diamond pickup stylus with a metallic section glides along the surface of the grooveless disc, guided by additional tracking signals located alongside the audio tracks. AHD discs are made with an electro-conductive plastic. The stylus reads millions of tiny pits as changes in capacitance. This information is translated into digital signals and then into hi-fi audio signals. Discs are 10.2 inches in diameter and are automatically loaded from a protective case slipped into the player. JVC says it plans to market its videodisc player, used to play AHD digital discs, at a price that’s competitive with the $500 capacitance-type video machines made by RCA and others. But it has not said how much the addon digital audio processor will cost. The Japanese company has demonstrated a variety of ways a combined AHD/VHD format could be used. An AHD disc I saw demonstrated at an Audio Engineering Society convention was capable of playing either three-channel stereo music or two-channel stereo with still video pictures changing every few seconds. While JVC’s system uses a single player for both video and audio discs, the larger disc size, plus the physical contact between pickup stylus and disc surface precludes adopting the format for car stereo. Sony and Philips executives say this will be an important plus for their compact disc. Which system, JVC’s AHD or the Philips-Sony compact disc, will win? My guess is that JVC’s success will be largely with the videodisc portion of its system and that the no-wear, laser-playback compact disc will become a world standard. But the transition to digital audio will be slow. And compact DAD’s take up so little space you’ll easily find room for your old and new record collections. Wait a minute, that would have required a framestore. Framestores weren’t affordable in the early eighties.